Are you aware that the engine fitted to your motorcycle has had its power output intentionally restricted by BMW? Some countries outside of Europe only supply low octane or sub standard fuels. Some vehicle owners do not stick to the recommended service schedules. High and low altitudes also have to be taken into account. The market dictates power output, some engines are physically identical but the manufacture will raise or lower the power output to fit market demand. The good news is these restrictions do not need to be kept in place on any of the Motorrad range. By removing these restrictions we can then optimise your vehicles engine to its full potential. This process is called remapping. 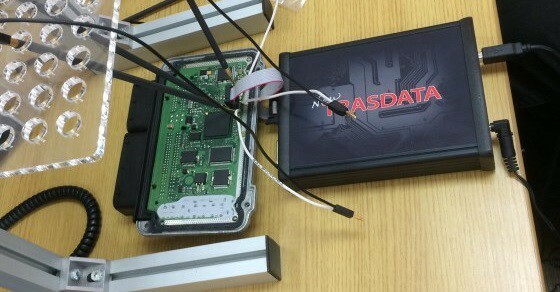 We remap the motorcycles ECU (engine control unit) thus attaining a genuine increase in smoothness, drive-ability, throttle response, power and torque. The engine’s “flat spots” (usually two) that are purposefully engineered into the power curve at the factory (so as to pass emission and noise regulations at those particular RPM locations), these are also eliminated. The Motorrad range really varies in the remapping process. Some of the older motorcycles require a replacement EEPROM chip, some are rewrite-able via OBD, some require a soldered connection directly to the ECU and the very late models only require a boot feed supplied by a weighted graphite rod. We cater for all of these processes. We charge a flat rate of £359.00 inc VAT for all of our stage 1 remaps. The remapped software can be reverted back to the BMW factory map at any time either via the backup of your original software that make or with a simple software update of the DME with a genuine BMW Motorrad diagnostic machine.